“Storytelling Oboes” is coming to Bloomfield, CT! As part of the Harmony Concert Series, Oboe Duo Agosto will perform at the Prosser Public Library on February 10, at 7PM. We look forward to performing for you! Please refer to the Concert Calendar page for the directions to the library. 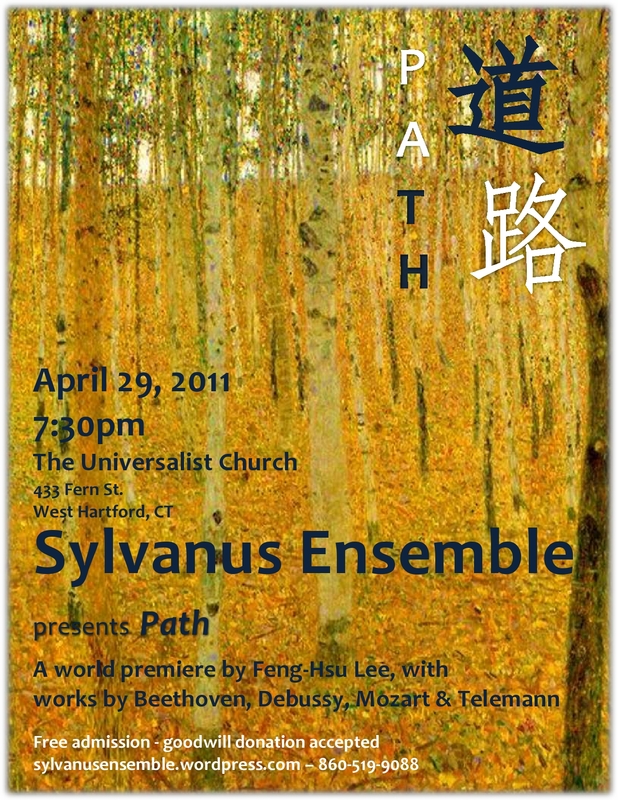 On April 29, 2011, Charles and I, together with violist Kum-Joung You, cellist Han-Wei Lu, and pianist Lily Lin, as the Sylvanus Ensemble , will present the world premiere of Path, a piece by award-winning Hartt composer, Feng-Hsu Lee. The concert will take place in the beautiful sanctuary of The Universalist Church in West Hartford. Other pieces on the program are works by Beethoven, Debussy, Mozart and Telemann, most of them rearranged to accommodate the unusual instrumentation of the quintet. The admission is free – a goodwill donation accepted at the door. Come explore a new path with us! 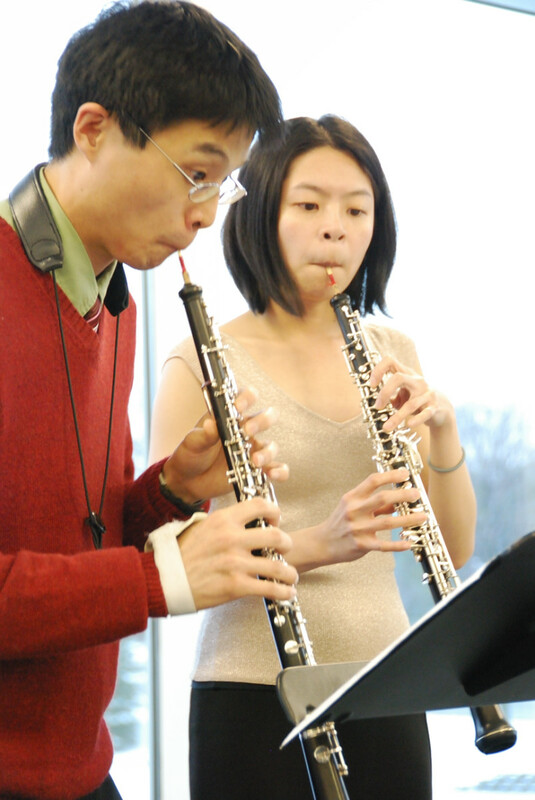 This year Oboe Duo Agosto is bringing the Caroling with the Oboes! concert back to the Chicago area, at the Skokie Public Library on Dec. 19, at 3 PM. Mark the date on your calendar and come celebrate the holidays with us! 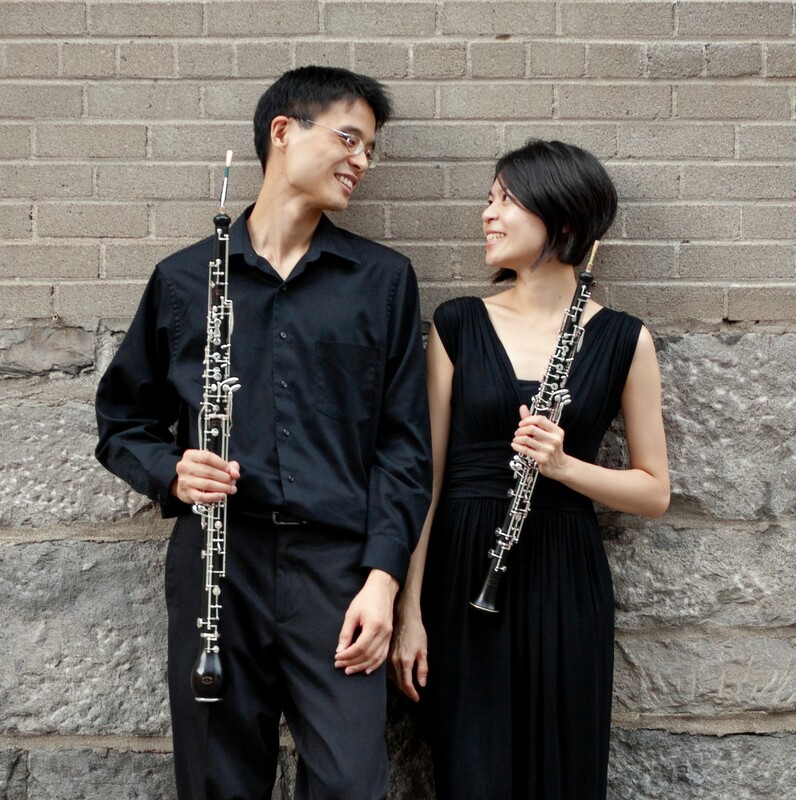 We are very excited to announce to the Montreal audience that the Oboe Duo Agosto will be presenting the Storytelling Oboes program at the Atwater Library on Thursday, June 10th 2010 at 12:30, as part of the library’s Lunchtime Series. So mark the date in your agenda, come to the Atwater library on June 10th at 12:30 and let’s share a musical lunch together. Free coffee will be served! The December Holiday Concert at the Northbrook Public Library in northern suburb of Chicago, Illinois was a wonderful experience. Steve Gianni and the rest of the staff were very hospitable and the library was very impressive. We had a great turnout, many friends and relatives to go along with the locals who showed up or stopped by. I was tempted to tell Ling-Fei to speak in Chinese during the little pauses in between pieces. I think a good half or more were of the Asian/Taiwanese persuasion. I did my best to dress up appropriately, I hardly ever wear that red sweater, green shirt combo. New Photos are up in the gallery! Thanks to all who helped make this a success, the library, my family, and our friends. We’re posting new recordings as I write this. More on that to follow.